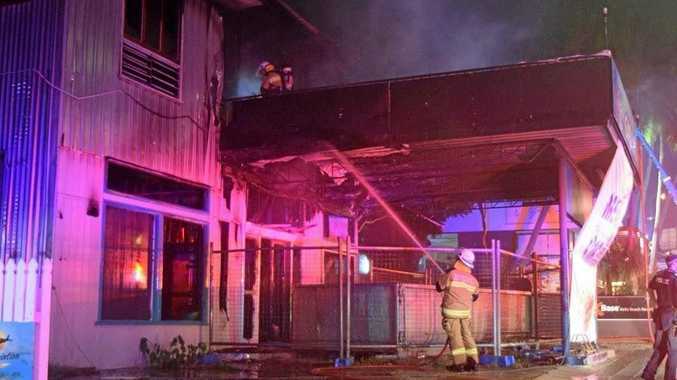 AN MAN accused of burning down an Airlie Beach backpacker hostel has tried to have the case finalised in Mackay Magistrates Court. Beau Cole Rutherford was arrested after a blaze destroyed the former Nomad's Caravan Park reception and service station on October 19 last year. He is charged with arson, which needs to be dealt with in the district court, as well as contravening police direction and a probation order. Rutherford asked if he could represent himself and have the case finalised. "I just want everything finalised today," he said. He told magistrate Mark Nolan that at a previous court mention police had indicated they would be dropping the arson charge, which was quickly disputed by the prosecutor. The court heard the arson charge had already been committed to the higher court. The case was adjourned to next Friday for mention.